Paintball is a game of tactics and strategy. Just like chess, you need to move your players around in a quiet but aggressive manner in order to sneak up on the enemy and eliminate them. Every game is different and requires a unique strategy but if you take a few seconds before the game to pick out the stronghold areas and ‘safe’ zones then you are on your way to a successful mission. Identify the targets by using landmarks or any other props out on the field, and use the strengths of your team to progress to those positions. Good communication is the key to a successful mission. Using clear signals out on the paintball game zones will ensure all team members are aware of what is happening and where the enemy are located. You and your team will need to keep advancing to ensure you keep the enemy on the back-foot. Be sure to move forward as a team, usually in small groups, so that you can always provide cover fire while each team member progresses to the next position. If you have any questions then feel free to ask the marshals. They are there to help and they love seeing their team advancing on the enemy. They’ll probably also award your team some extra points for originality, so get creative in your attempt to defeat the enemy! 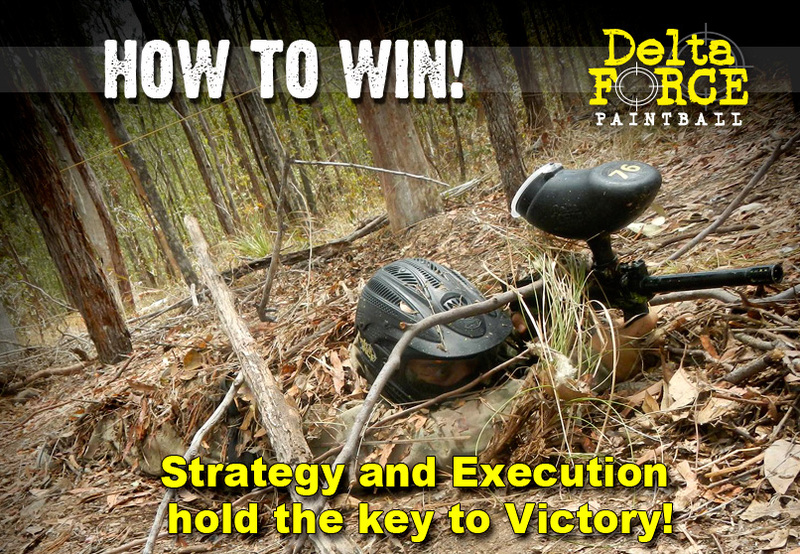 Book your next paintballing mission today by calling our friendly booking office on 1300 850 744 and try these paintball tactics.